The United States has long been a leader in maritime security, including in countering the threat of piracy. Since 2009, the United States has organized and led the international effort that has seen successful pirate attacks decline off the coast of Somalia dramatically. The Counter Piracy and Maritime Security Action Plan provides clear strategic guidance for counter-piracy efforts and outlines that the United States will use all appropriate instruments of national power to repress piracy and related maritime crimes. The Plan focuses on three core areas: Prevention of Attacks, Response to Acts of Maritime Crime, and Enhancing Maritime Security and Governance; and provides specific frameworks for the Horn of Africa and Gulf of Guinea regions. These frameworks establish the tailored and specific methodology for these regions and provide guidance on how the United States will respond to the regional threats associated with the varying geographic, political, and legal environments. 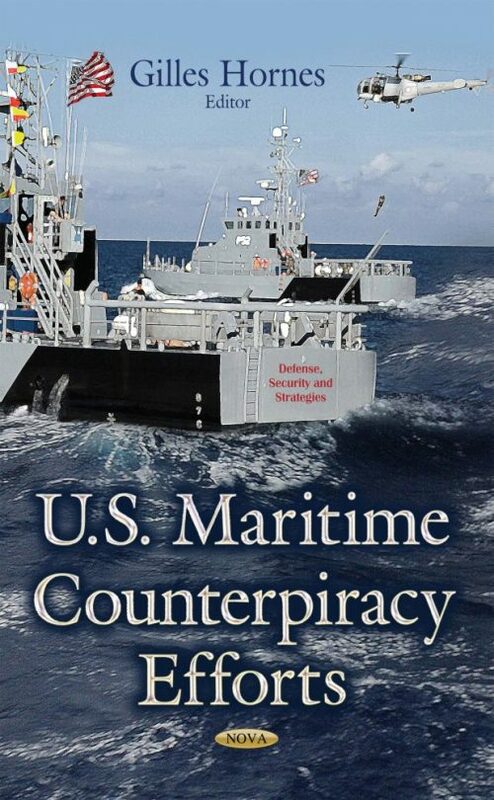 This book discusses the U.S. maritime counterpiracy efforts.